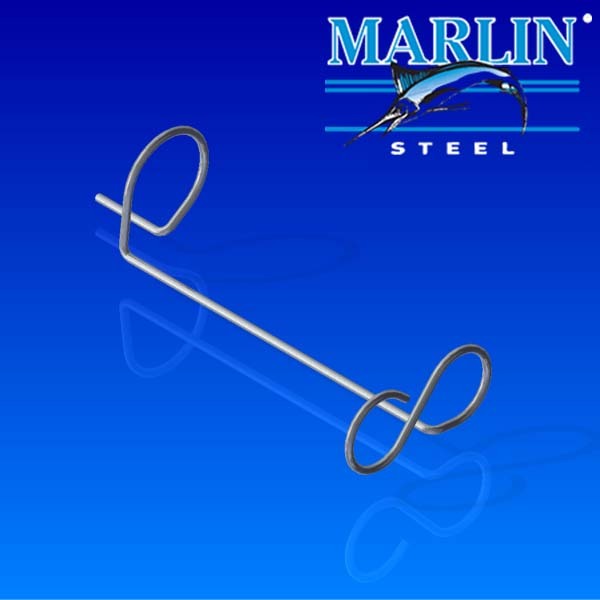 This wire form holder is made from stainless steel and has a diameter of 0.1875". It features a preplated galvanized finish with a loop opening of 1.5" and 2". The overall length is 9".